Free yourself from hormones within three months! 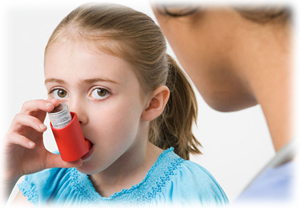 How can you recognize bronchial asthma in yourself and in your child? What does bronchial asthma lead to, if untreated? Asthma medication – why are the doses ever-increasing? Hormonal treatment of asthma – why are we afraid of it? How does asthma arise and why are medicines helpless? Is it possible to put an end to asthma? How can you and your child keep from hormones? – These are only a few of the questions, answers to which are vital for every person having fallen ill with bronchial asthma. Answers to these questions can save life to both an adult and a child, in the ordinary sense of the word. But to find them in the boundless sea of articles and advertisements of medical centres and new medicines is a serious matter, since they are all of the same type. In practice, patients seem to get answers nowhere, even after years of their fight with asthma. How can it be so? It is clear enough that episodes of shortness of breath which present with coughing and wheezing will pretty soon lead a patient to the district physician. The physician is the first to inform the patient that he/she has bronchial asthma. Asthma medication in adults is practically the same as in children. To “control asthma and prevent flare-ups”, a patient gets a list of medicines to be taken every day… But does it put an end to bronchial asthma? Does it yield complete healing of the disease and healthy life? Unfortunately, not. In the patient’s life, there comes a period of slow and steady disease progression. So, in order to prevent episodes of suffocation, one has to consume more and more medicines. In the lapse of time, soft medicines in the treatment protocol are replaced with the strong ones, but the disease does not go away. In fear of suffocation a patient is ready to take any medicines, without thinking of the consequences. 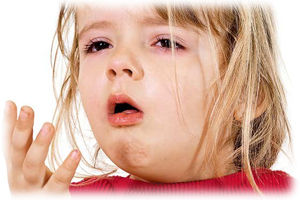 What is more, asthma treatment in children, even in those of tender years, is precisely the same. Fearing for their children’s life, mothers have to give them hormonal agents from early childhood. That’s the way how years pass in attempts to manage bronchial asthma with the help of medicines. But what does it lead to? Over time, bronchial asthma does not go away; on the contrary, it becomes more and more difficult to "control" it with medicines. The ever-increasing doses of hormonal agents cause severe adverse effects, which present diseases themselves. The vicious circle of helpless treatment closes up. Alas, it is at this point that the patient, suffering from bronchial asthma, begins to seek other treatment options, as well as the answers to the same questions which have never been answered. In order to find the way out, all the most important and unclear questions will be discussed one after another. How can you recognize asthma in yourself and in your child? It becomes difficult to inhale and especially, to exhale. There occurs breathlessness, suffocation and cough. Breathing is often accompanied with wheezing. To make breathing easier, a patient sets his hands against the chair, bed or table. What can trigger asthma flare-ups? The most common are domestic allergens (house dust, mites from carpets, furniture and bedclothes, animal hair), certain food and cold air. Some medicines can be also allergens – aspirin-induced asthma is the best known. Sometimes asthma flare-ups may be due to physical activity and develop immediately after it. Medicines do not remove the cause of bronchial asthma; they can only release its symptoms for a time. In vast majority of patients, the main pernicious factor triggering the disease remains untreated and unaffected. For that, despite the everyday use of inhalers and basic therapeutic agents, asthma only aggravates over time. Mild asthma turns into the moderate one, changing eventually into the severe form. Meanwhile, keeping the disease under control is more and more difficult, and requires more potent and dangerous dosages of hormones and bronchodilators. But why are the asthma controllers so dangerous to health? It will be discussed below. Asthma medication adverse effects – what is it important to know? The basic controllers of asthma symptoms are glucocorticoids. They are inhaled or, in severe cases, taken orally. According to modern treatment protocols, they are prescribed even in the case of mild bronchial asthma as a "basic therapy". It is generally agreed that the most health-hazard are the so called systemic glucocorticoid-related adverse effects. In order to avoid their occurrence, inhalers are used. But what exactly glucocorticoid-related adverse effects do the patients and physicians fear, especially if hormones have to be prescribed for children? We will discuss it below. They cause hormonal dependence and withdrawal syndrome. Suppression of adrenocortical function. Due to constant intake of glucocorticoids, natural production of the essential adrenal hormones may be disturbed. In this case, the so called adrenal insufficiency may develop. At the same time, the adrenal function suppression increases with doses of hormones and the course of treatment. What happens in this case? There occurs imbalance of all kinds of metabolism, in particular the water-salt and sugar imbalance. This leads to heart disturbances, such as arrhythmia, as well as blood pressure sudden changes and increase. Sugar content of blood varies, too. For that very reason, this condition is especially dangerous for patients who present with diabetes mellitus and cardiac diseases. Immunodepression. Glucocorticoids suppress local immunity. It is due to regular inhalations that oral candidiasis can develop. For the same reason, there can also develop secondary respiratory tract bacterial and viral infections, while the existing medical conditions can aggravate. Bone loss occurs due to increased calcium excretion. This results in compression fractures of vertebrae and limbs. Increase in blood sugar is especially dangerous in concomitant diabetes mellitus. Muscle affection. Weakness of muscles occurs most frequently in the pectoral and pelvic girdle. High intraocular pressure is the most dangerous for elderly patients. Lipid exchange disorder may present as multiple hypodermic fat deposits, as well as an increase in serum lipids. Death of bone tissue (osteonecrosis) can occur as multiple small foci, mainly in the femoral and humeral head. The earliest abnormalities can be revealed with using MRI. The late changes are seen on the X-ray. Bronchodilators (beta-adrenomimetics) represent the second basic group of medicines used to control bronchial asthma symptoms. They may be of long and short action. Long-acting bronchodilators are often used as combination drug preparations with glucocorticoids. 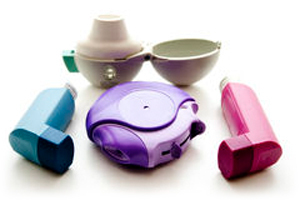 Short-acting bronchodilators are used as emergency remedies for immediate asthma relief. Cardiac rhythm disturbances – therefore, their consumption is contraindicated for patients with arrhythmia and is dangerous in elderly patients. Oxygen starvation of the myocardium – being the possible adverse effect of beta-adrenomimetics it is dangerous to patients presenting with ischemic heart disease and angina pectoris. Increase in blood sugar - this important parameter should be checked in diabetes mellitus. They can get into breast milk. They are contraindicated for children under 6. There is no doubt that adverse effects occur on prolonged exposure to medicines. But, unfortunately, in the event of bronchial asthma such is indeed the case. The fight with asthma is yearlong. And all the time all these medicines are used. With the lapse of time, adverse effects superpose on one another and the patient gets a whole bunch of other diseases. A great problem is also the hormonal dependence due to consumption of glucocorticoids, which takes on special significance when such medicines are given to little children as emergency measure of asthma control. However, in these cases, too, asthma is progressing since the main cause of the disease has never been removed and continues destroying the patient’s body. What is the main cause of asthma and why are medicines helpless? Asthma flare-ups represent the defensive reflex body response to excessive depth of patient’s breathing. But how can the depth of breathing act on bronchial asthma onset and development? In case of exceeding depth of breathing, there occurs the excessive washing out of carbon dioxide (CO2) – the most important releasing factor of bronchial smooth muscles and oxygen body saturation. The fundamental laws indicative of carbon dioxide enormous importance and functions, were discovered and theoretically substantiated by the best-known physiologists at the end of XIX century. They were described in Breathing, a book by Holden and Priestly in 1937. Reflex spasm and bronchoconstriction occur – bronchial asthma flare-up is observed. Deep breathing, which is far apart from normal human physiology, continues to destroy the body. For this very reason, medicines themselves are not in position to stop bronchial asthma. And it is just for this reason that dosages of more and more powerful medicines are constantly increased. Deep breathing remains, and the disease is steadily progressing. There is no way to cure asthma with any inhaler until you breathe deeply, every day destroying the whole metabolism. Only having restored your breathing back to normal, thus removing the true cause of the disease onset, you can stop the disease. In 1985, the Ministry of Public Health of the USSR issued an Order No.591, whereby the Buteyko Breathing Technique was introduced into the treatment protocol for bronchial asthma management at the stage of outpatient and inpatient care. In 2002, the Buteyko Breathing Method was included into the Global Strategy for Management and Prevention of Bronchial Asthma (GINA-2002) – a world-known medical edition which is the source of practical recommendations for medical practitioners all over the world. In 2008, the Russian Respiratory Society included the Buteyko Breathing Method into the National Program of “Bronchial Asthma in Children. Strategy for Management and Prevention”. 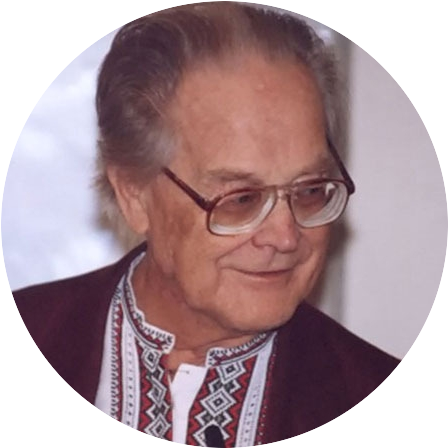 In order to master Dr. Buteyko’s Breathing Method and succeed in the treatment of asthma, there should be an experienced practitioner to guide you. Any attempts to normalize breathing on one’s own, with using materials from questionable sources will yield at best no result. It should be realised that breathing is an essential body’s function. Healthy physiological breathing is of great benefit, while incorrect breathing is harmful to your health. Video: "Bronchial ASTHMA TREATMENT with Buteyko Breathing"